Kupo 12' Steel Black Wind-Up Stand w/Auto Self Locking Device. 2 risers extend simultaneously and one handle turn provides 1.7" or 4.4cm of lift. 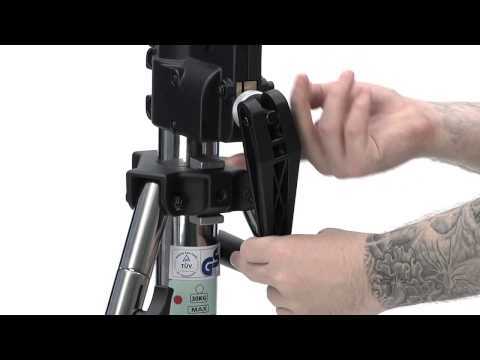 Black powder coated steel stand with gear column ensures easy lifting and lowering of your light.